You asked for it..... we created it! If you're a fan of the Happiest Place on Earth, you'll know exactly what this smells like! This treatment includes your choice of one of our soaks, Sugar baby Body Scrub and a Whipped Souffle. The signature fragrance is a luscious, creamy scent of fresh Pineapple... it smells just Dole Whip from the Disney Parks. This it's a perfect blend of golden pineapple juice mixed with the sweet and warm notes of vanilla. One whiff and you'll want to whip out your Mickey ears. 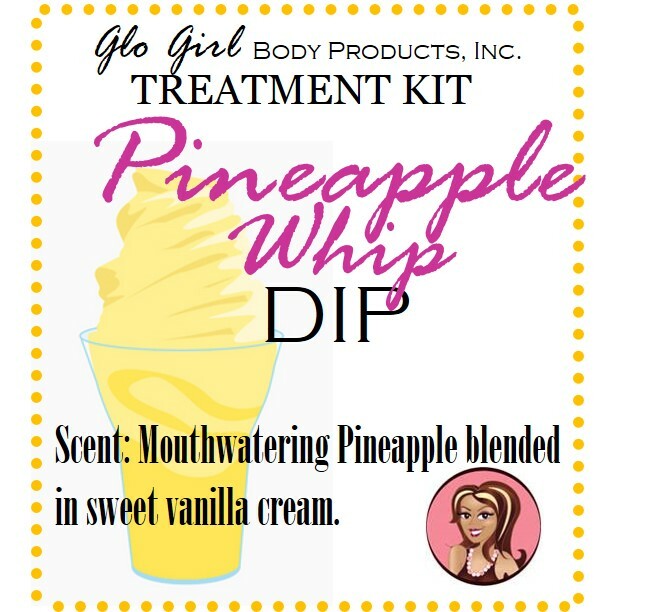 **Pineapple helps to keep the skin flexible and firm because it increases collagen synthesis. It contains vitamin C and amino acids and these are all skin-friendly nutrients. It also contains an enzyme (Papain) that is known to clear up dead skin cells ... leaving you silky smooth!